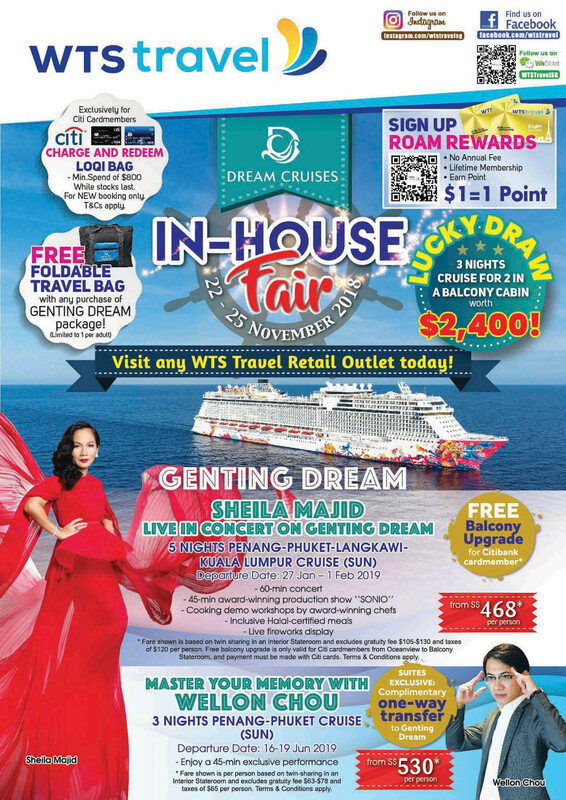 [ADV] Stand a chance to WIN a 3-Night Cruise worth $2,400 when you book your Dream Cruises package at any WTS Travel retail outlet from 22 - 25 Nov 2018! 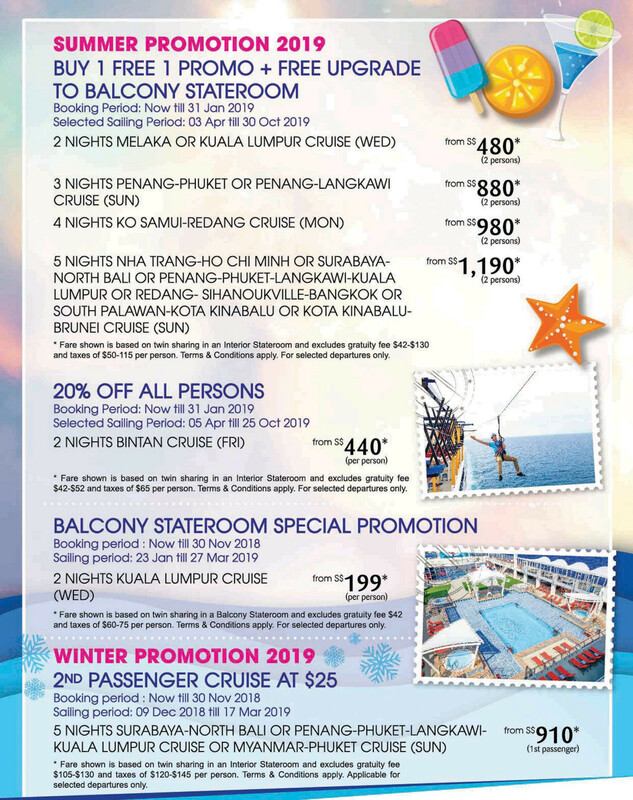 Sail on Genting Dream with these amazing deals! Join us and international Master of Memory - Mr Wellon Chou for an exclusive "The Power of Super Brain" performance onboard Genting Dream on 16 June 2019 sailing. Excited to inform you that Genting Dream has received her halal certification and guests can enjoy delicious halal food at the Lido restaurant with immediate effect. In addition, Dream Cruises will be holding their first concert cruise for Muslim guests onboard Genting Dream on 27 January 2019. 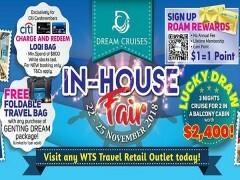 Check out WTS Travel Dream Cruises In-house Fair at all our retail outlets from 22 – 25 November 2018 for more offers.